Diets don’t work. If you have ever been on a diet, you know that dieting does not work. Eventually, dieting and denial lead to overeating and often, binge eating. Calories do count. 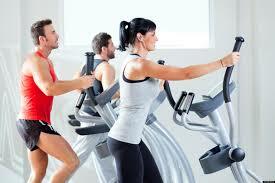 If you eat more calories than what you burn off through exercise and daily activities, you will gain weight. On the other hand, eating fewer calories than what your body requires will result in weight loss. Reducing the fat in your diet will help reduce total caloric intake, but only if you consume appropriate portion sizes and reduce your caloric intake. Just because you’re eating fat-free cookies doesn’t mean that you’re entitled to the whole box in 2 days. Calories add up whether they’re calories from protein, carbohydrates, or fat. 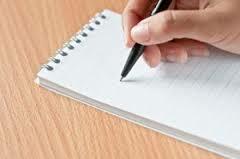 Write down what and when you eat or drink in a day and why. Keeping accurate food records of every bite you take can help identify why you are eating (happy, sad, hungry, bored). Plus, its amazing to find out how the little snacks add up during the day. A few handfuls of peanuts or M&Ms can easily contribute 500 to 800 extra calories. Become aware of meal timing. You may eat lightly during the day, but devour dinner and snacks throughout the evening. Experiment by eating a considerable breakfast and lunch and eating lightly for dinner. Usually, people are most active during the day, so it only makes sense to consume the bulk of our calories during this time. Some people aren’t hungry for breakfast because they consume too many calories in the evening. #1. Multiply your desired or goal weight by 10 to find your resting metabolic rate (RMR). This is the number of calories you burn at rest. #2. Multiply RMR by your daily activity level. Example: You are moderately active. 1700 X .4 = 680 calories burned through physical activity. #3. Add Steps #1 and #2 to determine daily calorie requirements. 1700 + 680 = 2380 calories per day to maintain weight. #4. To lose weight, subtract 500. 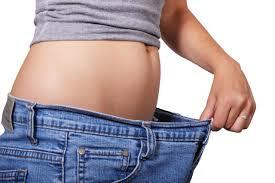 2384 – 500 = 1884 calories per day to lose about 1 pound a week. You may even want to eat 4 to 6 mini-meals throughout the day. You will not gain weight from eating breakfast and lunch as long as you don’t consume more calories than what you need. If anything, you will be less hungry at the end of the day, which will help eliminate or reduce overeating in the evening. 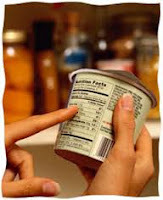 Read food labels. Be aware of how many calories are in a serving and, more importantly, how many servings are in a container! Your bowl of cereal in the morning may actually be 3 or 4 servings of cereal. A single muffin may contain 2 to 3 servings, which means you could be consuming 400 – 500 calories and 50 grams of fat…. just from one muffin! Eat slowly. The brain needs about 20 minutes to receive a signal that you’re full; it doesn’t matter how much food you’ve consumed during this time. Try to pace your eating by putting the fork down between bites, chewing slowly, and enjoying your food. Eat your favorite foods regularly. Believe it or not, you can still eat your much-loved potato chips and lose weight. If you deny yourself permission to eat your favorite foods, you are much more likely to binge. A handful of potato chips once or twice a week is much better than devouring a whole bag in 30 minutes after days of denial! Stay away from foods that tempt you. Out of sight, out of mind, and out of mouth. Storing cookies and other fattening snacks in see-through containers on the counter will more than likely tempt you every time you walk by. Store them in areas out of sight. Better yet, keep tempting foods out of the house. Exercise consistently. Exercise regularly but don’t overdo it. Don’t punish yourself after a day of overeating by pushing yourself twice as hard or twice as long. One day of overeating will not make you gain weight. Remember that it takes 3,500 extra calories to gain one pound of weight. Realistically, it’s almost impossible to consume this amount over your required needs to gain 1 pound in a day. Think Fit and Healthy! Every day, visualize yourself as getting fitter and leaner. Be patient with yourself; you didn’t gain weight over night. Changing your eating and exercise habits for life takes time. Positive self-talk is very important to your well-being and will help not only with weight loss, but also with daily living.